Any book that includes stick figure illustrations and people with speech bubbles automatically breaks down any sense of conventional formality. 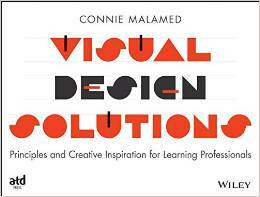 The book was designed for how people learn—it’s friendly, accessible and concrete. Design For How People Learn is organized into nine chapters that walk the reader through the thought processes and tasks of designing learning experiences. 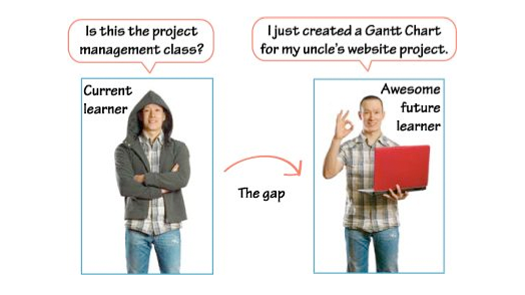 It’s written in the context of the learner’s journey and paired with the instructional designer’s quest: how to effectively enable learning for competence. Making effective use of metaphors, graphics and stories, Dirksen covers everything from the basics of how to get started, to cognitive foundations of learning, to design strategies. She easily translates theory into practical terms so that readers can quickly apply the content to their real-world projects. 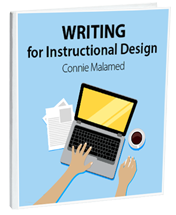 She also poses many questions to stimulate thinking in new ways and to release instructional designers from the doldrums of boring or ineffective instruction. A key principle in Design For How People Learn is its learner-centric focus. Readers are continuously reminded to consider what’s right for each unique audience. For example, in the chapter titled Who Are Your Learners?, Dirksen covers how to reach an audience of learners who are motivated by extrinsic factors. The strategies? The How Do We Remember? 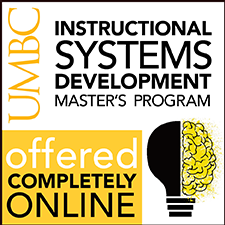 chapter focuses on types of memory; how we retrieve information from memory; and how various instructional practices relate to human cognition. For example, Dirksen delves into why role-playing and storytelling can be effective, the differences between recognition and recall, the value of practice and repetition and the downside of blunt force (memorization). The theme of accommodating our cognitive processes is threaded throughout the book. For example, underlying the recommendations in the Design For Skills chapter is the fact that learning something new can create cognitive overload. To avoid this, designers can restructure learning to alternate new information with what is already known. Designers can also distribute practice over time, provide feedback in various ways (it doesn’t all have to be obvious) and engage in follow-up. 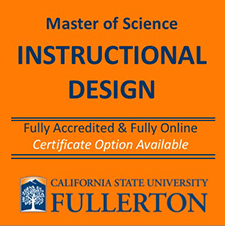 Design For How People Learn should satisfy the interests of both novice and experienced instructional designers and trainers. For the novice, there’s a wealth of content presented in a way that is easy to absorb and apply. Readers with experience in design will enjoy Dirksen’s creative approach and will find useful suggestions and recommendations for those times when inspiration is lacking. 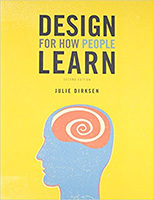 Design For How People Learn is available on Amazon in both paperback and Kindle and at other online book stores. Get The eLearning Coach delivered to your Inbox twice a month, with articles, tips and resources. Sign up below. You’ll get an email with a link. Open the email and click the link to confirm your sign up. Your email address will never be shared. I recieved my copy yesterday (Bought it because of your review). And yes, even after 15 years of experience, Julie Dirksens book is loaded with useful informations. Thanks for your review, can’t wait for the next one. Yes, it’s good. So glad it worked for you!